It’s all the rage now. Several carriers have enabled Wi-Fi calling for their top-end phones and it’s only going to get more popular. Using your home Wi-Fi to make calls when possible reduces the strain on your cell carrier’s network and gives them time to plan for more advanced services instead of upgrading their towers for more voice calling capacity. It’s also a win for you because if there are spotty coverage areas in your home, your Wi-Fi may help you make and take calls more easily. But does it mean you can forget about buying a cell booster? Cell phone signal boosters are sort of like mini cell towers in your home. They take the signal from outside and amplify it so you get better signal inside. At Solid Signal we’re really bullish about cell phone signal boosters because the honest fact is that they work. Using Wi-Fi calling might mean that you don’t need a cell booster right away, but I personally think it’s a good investment for several reasons. 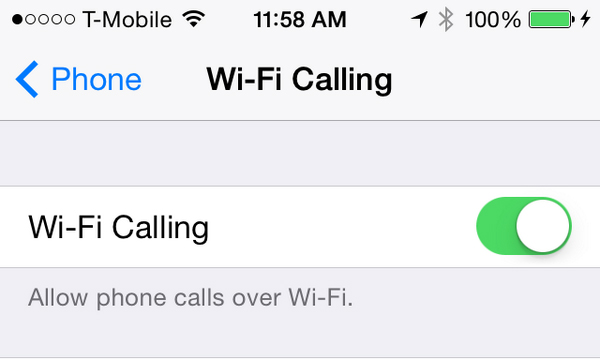 Wi-Fi calling might not work in emergencies. Internet goes down when snowstorms come. Falling trees cut cables and that means no service. Even if you have power in the house, you may not have landline phone or internet service. Cell towers are much more reliable in an emergency and you may need a good strong signal if you’re trapped inside the house. Our friends down south may not think about the severity of winter storms, but it’s something that we deal with in our Michigan offices every winter. You may have poor Wi-Fi, too. Yes, you can also get Wi-Fi signal extenders at Solid Signal but that’s not the point. Think about how many times you touch your phone. It’s an addiction, I know, we all have it. Do you want to spend time thinking about where in the house you have service and where you don’t? A combination of a good Wi-Fi signal AND a good cell signal means you’re covered everywhere. Be a good host, even if it’s out of fashion. While this isn’t 1955 and we’re not all June Cleaver worrying about what the neighbors think (millennials: Google “Leave it to Beaver”) being polite just shouldn’t go out of style. So you have good cell service because you have Wi-Fi calling in your house. What about when you have visitors? Do you want to stop them at the door and get them on your Wi-Fi, or do you just want to help them make sure they’re connected in the easiest way possible? After all, they probably touch their phones about as often as you do, and they’ll remember if you have poor signal. Don’t be “that guy…” make sure your friends can connect as well as you can.